The Doubledays were among five finalists for the membership award, which also included: the Glove House (Waterloo), Jessica & Company (Waterloo), Main Street Drivers (Seneca Falls) and the Seneca County House of Concern (Seneca Falls). Founded in 1958, the Auburn Doubledays Baseball Club is currently a Class “A” Short Season Affiliate for Major League Baseball’s Washington Nationals. Under the direction of new General Manager Mike Voutsinas, the organization experienced a 22% increase in home game attendance over the last two years (most of any team in the league). New community partnerships and regional collaborations were formed with a special focus on providing opportunities for children in neighboring little leagues, schools, Boy Scouts and Girl Scouts. Corporate sponsorships have nearly tripled, allowing the organization to make several needed infrastructure improvements to Falcon Park and added amenities related to fan experience. The net result was the first operating profit for the franchise in more than five years. 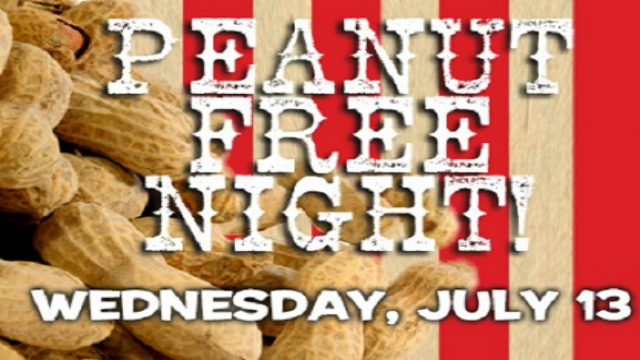 GENEVA, Ill. – The Kane County Cougars have announced that Wednesday, July 13 will be Peanut-Free Night when they host the West Michigan Whitecaps in a 6:30 p.m. game at Fifth Third Bank Ballpark. The game will not include the sale of peanuts or any peanut-related products to allow fans with peanut allergies the opportunity to safely attend a Cougars game. Beginning in 2007, the Cougars have hosted their annual Peanut-Free Night for the last nine years for families of children with peanut allergies. Peanut allergies are one of the most common food allergies and can cause a severe and potentially fatal allergic reaction. In addition to peanuts, the following items will also not be available for fans to purchase on July 13: Dippin’ Dots, Oberweis ice cream, Oreo churros, Cracker Jacks, candy including plain and peanut M&M’s, as well as cookies and brownies. Fans are asked to visit Guest Services located on the third base concourse with questions regarding the food and the ingredients they contain in relation to Peanut Free Night. Tickets for Peanut-Free Night are available now by calling 630-232-8811 or by ordering online at www.kccougars.com. Other promotions throughout the night include Half-Price Hump Day, presented by The GFS Store with specials on reserved and lawn tickets plus regular-size sodas, burgers, pizza, nachos, popcorn and select souvenirs as well as the opportunity for fans of all ages to run the bases after the game. For updates throughout the season on ticket and promotions follow the Cougars on Facebook, Twitter and Instagram. The Cougars, Class-A Minor League affiliate of the Arizona Diamondbacks, have been at the forefront of family-friendly entertainment since 1991. In 2015, the franchise became the first Class-A team in Minor League Baseball history to welcome 11 million fans through the gates. A total of 144 former Cougars have reached the Major Leagues including Miguel Cabrera, Nelson Cruz, Josh Beckett, Adrian Gonzalez and Kyle Schwarber. BOWIE, Md. – The Bowie Baysox announce today that the Oriole Advocates will collect new and used sports equipment at Prince George’s Stadium Saturday, August 27, as the Baysox take on the Binghamton Mets at 6:35 p.m. The organization collects the equipment for its Cardboard To Leather program, which provides equipment to underprivileged children in developing countries. The Cardboard To Leather program accepts donations of all baseball and softball equipment: bats, balls, gloves, uniforms, bags and spikes. Baseball gloves, duffle bags and useable helmets are the hardest items for Cardboard to Leather to acquire. If fans are unable to make it to the game, they can bring donations to the Baysox office during regular business hours, Monday through Friday from 9 a.m. until 5 p.m. Since the program’s inception, more than 50 tons of baseball equipment have been sent to children in developing countries.